First, be sure to check your Adobe Applications are up to date. We are aware that users running older versions of the extension are not updating automatically. Adobe Exchange engineers are actively working on the problem. Sign out of your Adobe Exchange and reboot your machine. 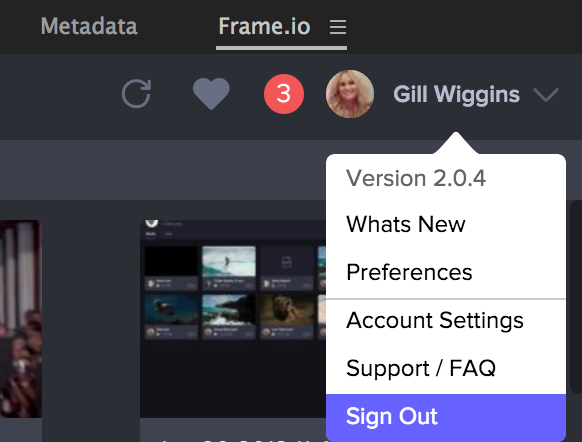 Sign back into your Frame.io panel which will now be on the newest version. If you're still having issues please reach out to support via the purple chat icon.